In rhinoplasty, consideration is given to both functional and cosmetic concerns. Functional concerns generally involve nose blockade and proneness to allergy and runny nose. Cosmetic considerations usually concern with the shape, size and position of the nose. Rhinoplasty vary in complexity from simple procedure where a dorsal hump needs to be reduced to complex reshaping of the entire nose. In the so-called reduction rhinoplasty, the size of the nose or part of the nose is reduced and reshaped to produce a more attractive looking nose. This generally involve reshaping the existing cartilages and bones of the nose. Rhinoplasty can be performed as a closed method or open method, depending of the requirement of the nose condition. Rhinoplasty can be performed under local or general anaesthesia depending on the request of the patient. It is done as a daycare procedure. Post-operative discomfort is usually minimal and can be controlled with analgesics prescribed. Swelling usually peaks in 36 to 48 hours and will gradually subside. 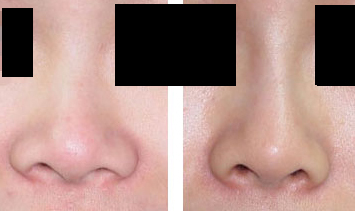 In Asian rhinoplasty, patient normally request the nose to be made higher with a more projected and well defined nasal tip. This is in contrast with Western patients who usually want their nose to become smaller. 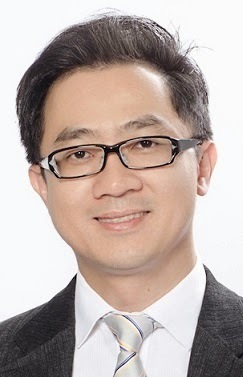 In Asian rhinoplasty, silicone (or sometimes Gore-Tex) implant is used to augment the nose. In selected cases, autologous cartilage harvested from the patient’s nasal septum, ear or rib is used to augment the nasal tip. Rhinoplasty is performed with either closed or open methods. In closed method, a small incision is made inside the nostril and a pocket of space is created. The nasal implant is then inserted through this opening to augment the nose. The scar is no visible externally. In certain cases open rhinoplasty is required to gain better control in adjusting the shape of the nose. The nasal skin is opened and retracted to expose the nasal cartilages. The surgeon then adjust the position of the cartilages to obtain a desirable shape of the nose especially around the tip. There will be a fine scar on the lower part of the nasal columella which is usually well hidden and not noticeable. Most of the rhinoplasty procedures are performed under local anaesthesia. Minor swelling after the operation usually subsides in a few days.